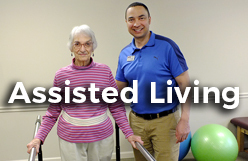 Our partnership with assisted living communities, skilled nursing, home health and hospitals has been sustained with a firm foundation of trust, integrity and Christian principles. For the last 30 years, we have been blessed to be a part of the growth and expansion of wonderful organizations. Our passion is to serve each community and give our time, talent and resources to transforming the lives of each person we serve. Therapist owned and managed, we are blessed to still serve the same client we started in 1988. As a true partner, we are vested in your future and work to strengthen and grow your continued success in the community you serve. 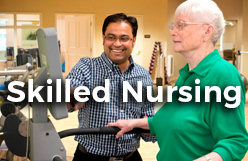 We at HTS are committed to serving your best interests and provide innovative and proven clinical programs as we enter into a new age of caring for our aging community. Click here to learn more about the services we provide each of our partners. HTS isn’t a separate group, but part of our family now. 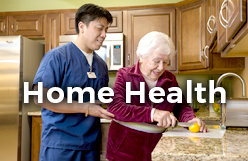 They truly love our residents and it shows in the quality of care they provide each individual. They always talk to the residents and the family and involve them in their planning process, encouraging them with each success. From keeping us informed on ever changing updates and the fantastic therapists, to the support we receive from the home office…HTS has made my job so much easier. HTS marketing is amazing and they offer innovative & dynamic ways to get the word out about all the services we offer to our community. We may be a small, 58 bed, not-for-profit community but HTS has a unique way of making Ketcham feel like we are the only community they are serving. God truly has blessed me with HTS. As a HFA and Physical Therapist, it was my sacred duty to find a rehab company that would meet my high standards of care. 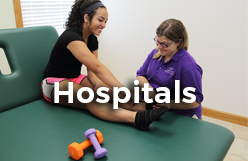 HTS provides excellent rehab services and communication while building relationships with the residents and their families. HTS and all of us at St. Paul Hermitage celebrate the progress of each resident. What I value most about HTS is that we’re working for a company that feels more like a family, they put our interests and our patients interests first.